I love capturing the toast and all the emotion not only from the person giving it but the reaction from everyone. 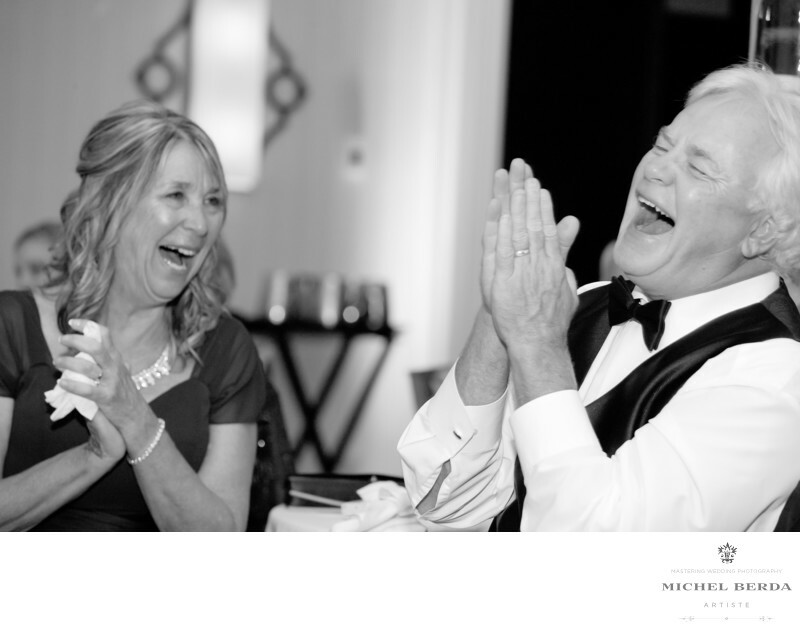 Best man and maid of honor toasts the point during the wedding at which the embarrassing stories about the couple reveal themselves, leaving parents grimacing and guests gossiping. But then there's the flip side, the toast that makes everyone feel a little corny about love, and yes, particularly fond of the person who gave it. As Toastmasters International advises, "a good wedding toast inspires laughter or tears, but a great toast evokes both." As a Charleston, Sc, Wedding Photographers, I know that I need see that moment, and capture the reaction, the laugh, the tears. On this evening for this lovely indian wedding at the beautiful Charleston Marriott downtown, while the best men was giving the toast, I noticed the parents having this laughter moment, clearly mom was just has amused with her reaction it is perfect, and this is why I love being a Charleston Sc Wedding Photographers.Keywords: Charleston Sc Wedding Photographer (9).